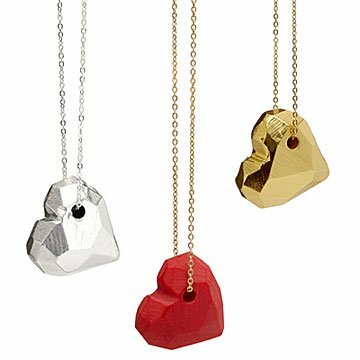 Celebrate unconditional love with this multidimensional pendant crafted from Earth-friendly resin. Life isn't always smooth sailing, so finding someone who loves you through the highs and lows is something special. Mother and daughter design duo Tulianna and Alejandra Garces pay tribute to that unconditional kind of bond with this unique heart pendant, featuring dips, valleys, and plenty of dimension. Crafted from plant-based eco resin and cast in 24k gold or .925 silver, it's made to last—just like the kind of relationship it represents. Handmade in Colombia. 1" L x 1" W x .2" H Chain: 18"